Can you imagine living in a 400-square-foot tiny home that is eco-friendly and energy-efficient, yet boasts all the amenities of a conventional house? Magic Green Homes fabricates such structures using prefabricated vaulted panels and covers them with soil, creating flexible green-roofed living spaces with a Tolkienesque charm. And the kicker? They're so easy to construct, just about anyone can build one. The Green Magic Homes are composed of prefabricated vaulted panels manufactured with composite laminate materials, confined by walls in reinforced soil. The structure is easy to assemble and features perforated flaps in order to screw and seal the components together. Because of this efficient technology, the designs can be adapted to any type of topography and customized to fit individual needs. The good thing is customers can start small and purchase panels which would be sufficient to build a few modules and then expand as they go. It takes only three people to assemble the structure in three days, with no special skills or heavy equipment. The technology draws from various methods of earth construction and stabilization, such as superadobe and geotextiles. Composite ducts and channels for electrical wiring and water pipes as well as mechanical ventilation ducts can be added to the shell at any point. 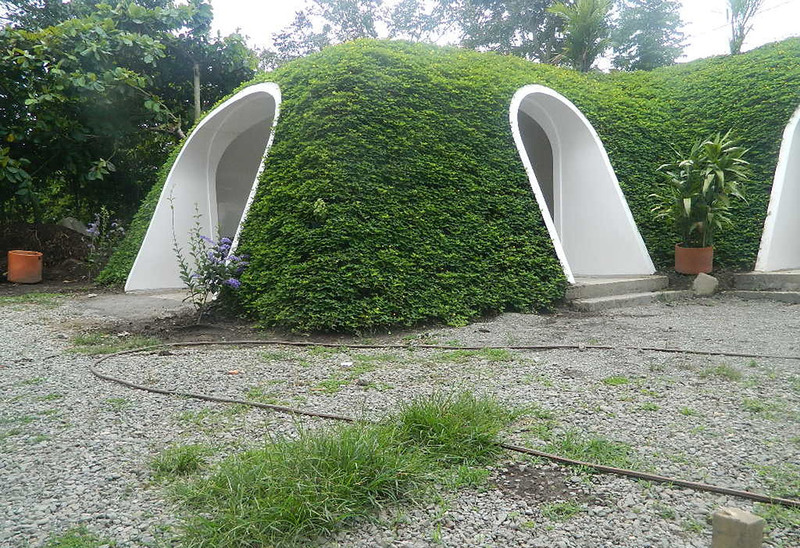 The trick with this type of construction is to achieve adequate ventilation and water-proofing, which Green Magic Homes address in a new way by creating strong, modular, waterproof inner shells that structurally collaborate with the earth. Where can I see what is the approximate price? Or they are commercially available in Europe? For what they are suitable for the climate? We have a winter temperature - 20 C, and in summer +30 C.
Wanna live like a Hobbit? Stay away from composite laminate materials and advertorials. I don't think its cost effect and environment friendly option for better Habitat. In place of this, in India and in Africa people are using local resources, crop residue, bamboo mats and clay soil, which is more better option of habitat. Can you design one such environment friendly option? "Composite laminate" is basically fiberglass. So it's no different than living in a boat. This has all the hallmarks of a similar styrofoam dome scam that's been exposed numerous times over the years. BUYER BEWARE! No reason to cultivate extreme poverty? African countries and India...they all can live with some dignity? I wonder about off gassing and how dangerous the smoke from an accidental interior would be . @David Swartz - I went to their site, and they claim to meet International Building Code standards. Many jurisdictions in the USA accept the IBC standard. @Ranee McBride - They have some pricing info on their website, but I find it confusing. I've actually requested more information on that. Karen wrote: " If you read it, it says the panels are made of composite laminate, here’s info on what that means" But the wikipedia article does NOT say what it means. It very likely could be PLASTIC. So for all the eco-buzzwording, you could be living inside a milk carton, and thinking you are living "like a hobbit." Here's the relevant quote. (And the promo article's evasion makes me think very much that it is plastic. )"The individual layers consist of high-modulus, high-strength fibers in a polymeric, metallic, or ceramic matrix material. Typical fibers used include graphite, glass, boron, and silicon carbide, and some matrix materials are epoxies, polyimides, aluminium, titanium, and alumina. Good luck ever getting a building permit to construct one of these as an actual home. A few questions that are not answered in your FAQ's: 1. How much do the materials cost? How much does the overall construction realistically cost? 2. Are these houses off-grid? How do the electric and water systems work? 3. How do zoning laws generally affect the construction of these houses? Are they legal in most areas? 4. How much does each additional room generally cost? 5. Are there any that are already built that are open to the public for viewing? 6. I'm interested in having a greenhouse in my home where I can grow food indoors as well as out. Is this feasible with the Magic Green Homes? But what is the cost and is the material plastic? I have concerns. The Green Magic Homes are composed of prefabricated vaulted panels manufactured with composite laminate materials, confined by walls in reinforced soil. The structure is easy to assemble and features perforated flaps in order to screw and seal the components together. Because of this efficient technology, the designs can be adapted to any type of topography and customized to fit individual needs. The good thing is-customers can start small and purchase panels which would be sufficient to build a few modules and then expand as they go. 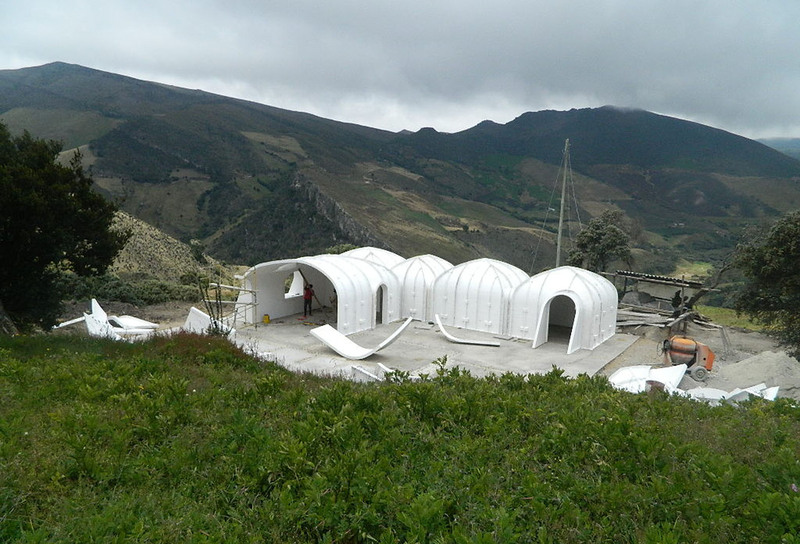 It takes only three people to assemble the structure in three days, with no special skills or heavy equipment. The technology draws from various methods of earth construction and stabilization such as superadobe and geotextiles. Composite ducts and channels for electrical wiring and water pipes as well as mechanical ventilation ducts, can be added to the shell at any point. 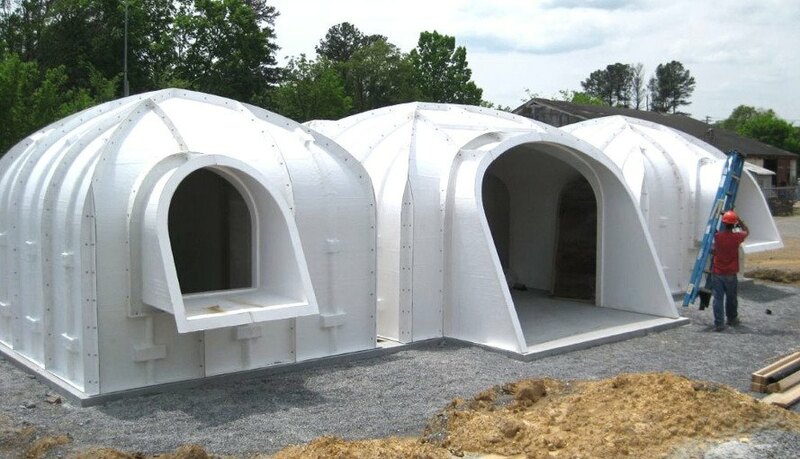 The trick with this type of construction is to achieve adequate ventilation and water-proofing, which Green Magic Homes address in a new way by creating strong, modular, waterproof inner shells that structurally collaborate with the earth.